Betty Kaufmann, LPGA professional and Head Coach of DePaul University’s Mens Team for 19 years is someone with a love for the game and passion for education, coaching and helping others. She is happy to see the LPGA partnership with Frankly Golf’s Certified Putting Instructor (CPI) Course. Back in the early days of the CPI Course, when her Blue Demons were competing in the BIG EAST she visited Frankly Golf at their headquarters and enrolled in the CPI Course. “The CPI Course is one of the best courses I have done. It is scientific and gives you a baseline to work from. As you work with a student you can take the most important principles and apply them. 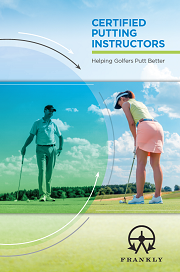 It has also helped my putting tremendously,” said Kaufmann, a former Tour player. 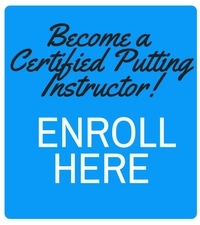 Areas such as grip pressure and understanding the movement of the putter as well as the principles behind Lock and Rock have assisted Kaufmann, who became a CPI five years ago, and her students. “I have helped a lot of people using the information in the CPI Course. I refer to the material frequently as the fundamentals are so important. I love education and this is one of the courses that I have gone back to over the years,” said Kaufmann, who was named as one the Top 50 teachers for 2008-09 by the LPGA. After spearheading the growth of the DePaul program for almost two decades, Kaufmann has retired from full time coaching duties but remains involved with emeritus status and looks forward to continuing to grow women’s and junior golf, with putting at the heart of developing new players. Kaufmann enjoys seeing the smiles on her student’s faces and helping make a difference as they build confidence and improve themselves.